METRA lockers are manufactured from High-Pressure Laminate (HPL). 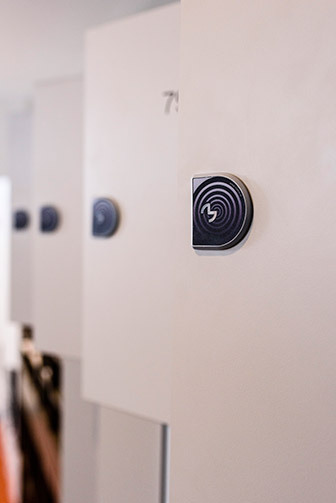 Providing robust security and damaged resistance, HPL is the future of lockers. HPL is durable, moisture and corrosion resistant. 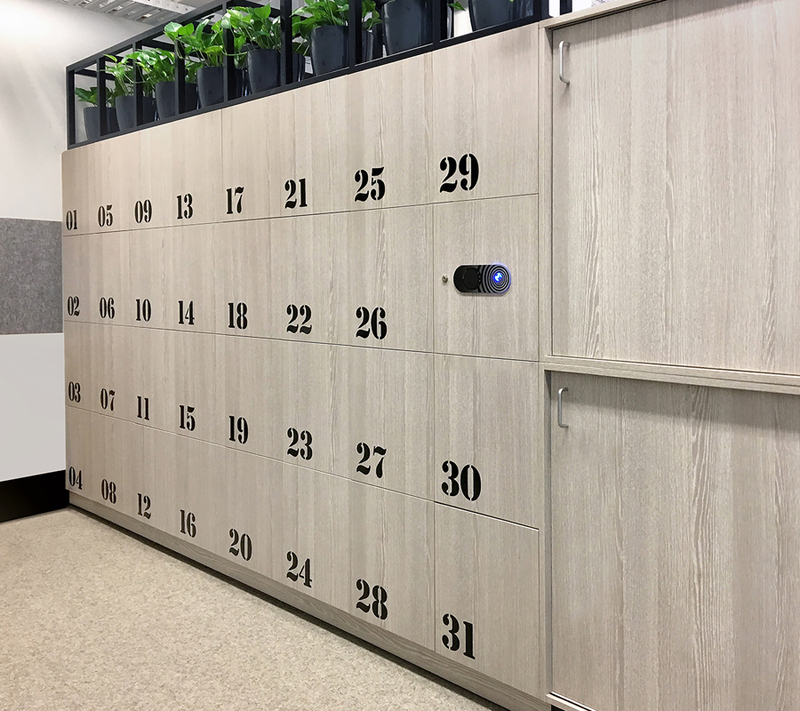 Our lockers are made from High Pressure Laminate, we are the only company in Australia that offers lockers made entirely from this material. The frame is constructed from Solid/Grade/Compact Laminate (HPL) which is a versatile high performance material, our full length hinges allows the doors of the lockers to never swing off the structure creating a design like no other. 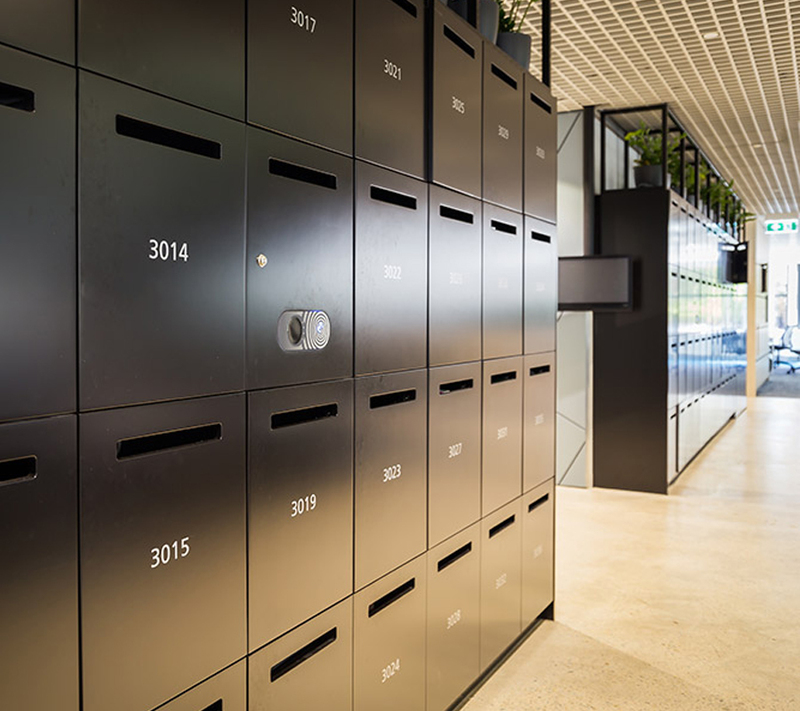 Our lockers have a stylish black core, faced on both sides with a decorative finish. The material can be cut square or bevelled and polished, giving an all-round finish with a striking design feature. Offering structural stability the material can be used in a range of vertical and horizontal applications including lockers and cubicles. Compact’s solid core makes it ideal for high moisture environments such as swimming pools, health clubs and change rooms. Aluminium hinges with Solid grade laminate ensures that no part of the complete locker construction is susceptible to rust. 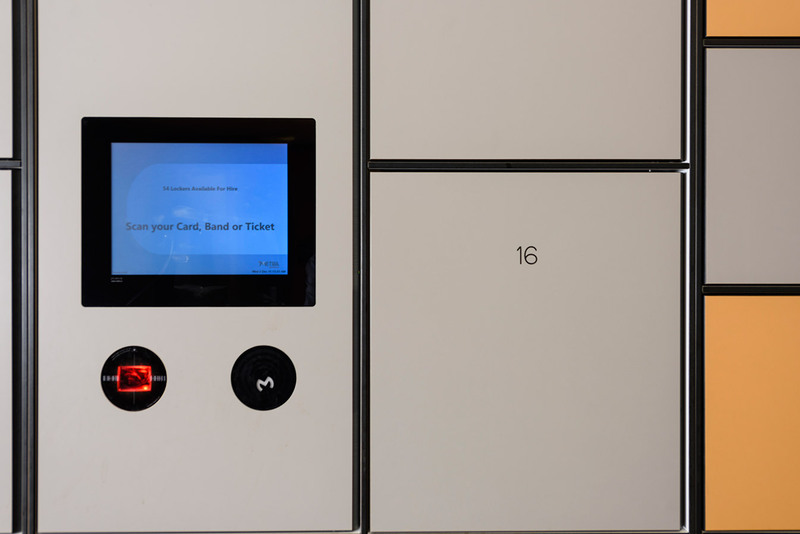 The POS terminals are housed within the solid grade laminate (HPL) locker compartments. These sealed compartments create a micro-environment for the POS/user interface terminals, ideals for housing such items. 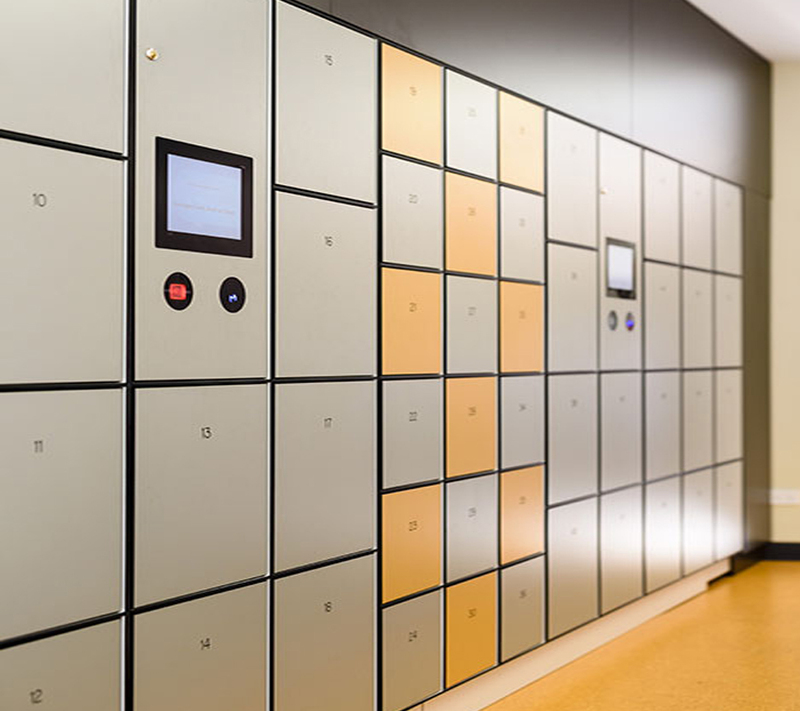 With an extensive range of colours to choose from Metra can help you ensure your lockers are unique to your establishment. 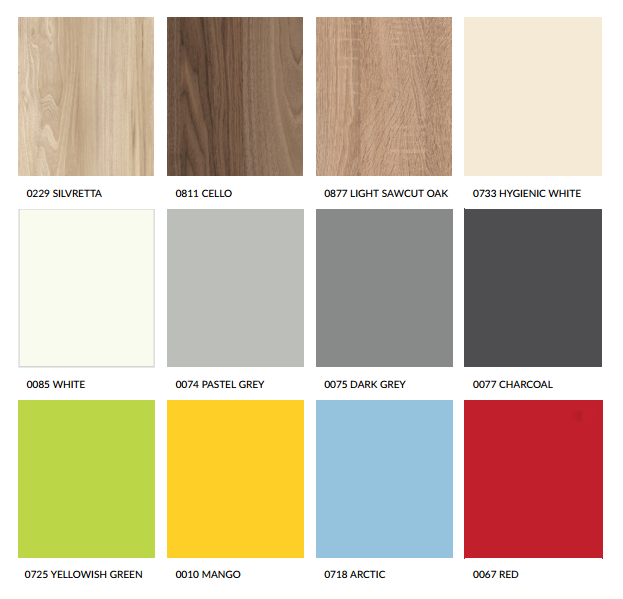 High Pressure Laminate means long life and easy wipe clean maintenance for all colour choices.